The U.S. have admitted they believe a series of cyber attacks on domestic banks and some foreign oil companies carried out over the last year are the handy work of a group of hackers linked to the Iranian government. Defence Secretary Leon Panetta said the cyberthreat from Iran has grown, and declared that the Pentagon is prepared to take action if America is threatened by a computer-based assault. The hackers are apparently part of a group of less than 100 computer security specialists from Iranian universities and network security firms, according to an unnamed US government official. 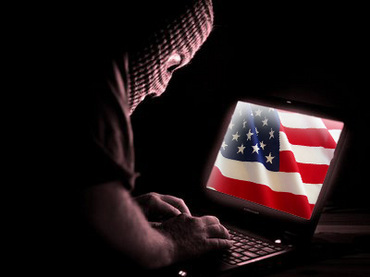 American officials have said they are able to discover the source of the recent cyberattacks. We do welcome this and announce our readiness for any international cooperation to find the source of the attacks. The Iranian official said Tehran has already offered help to boost the companies cybersecurity, as Iran has itself recently been the victim of cyberattacks on its offshore oil platforms. The cyberattacks hit the Saudi Arabian state oil company Aramco and Qatari natural gas producer RasGas using a virus, known as Shamoon, which can spread through networked computers and ultimately wipes out files by overwriting them. Iran blames Israel and the United States for the attacks.